Bulk upload is a convenient feature that allows you to upload a large number of users, while assigning them to their respective External Customer and registering them for courses and/or exams. eTrainCenter provides a standard, recommended hierarchy: The Company is the highest level in the hierarchy. Administrators can set up Departments under the Company (A) and then each Student can be associated with a Department (C) or associated directly with the Company (B). 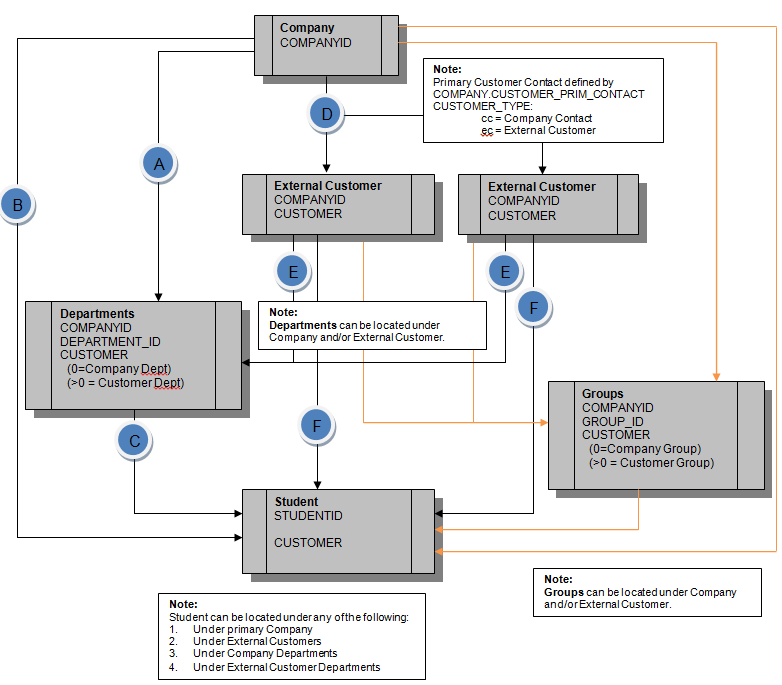 External Customers: External Customers can be set up under the Company (D). 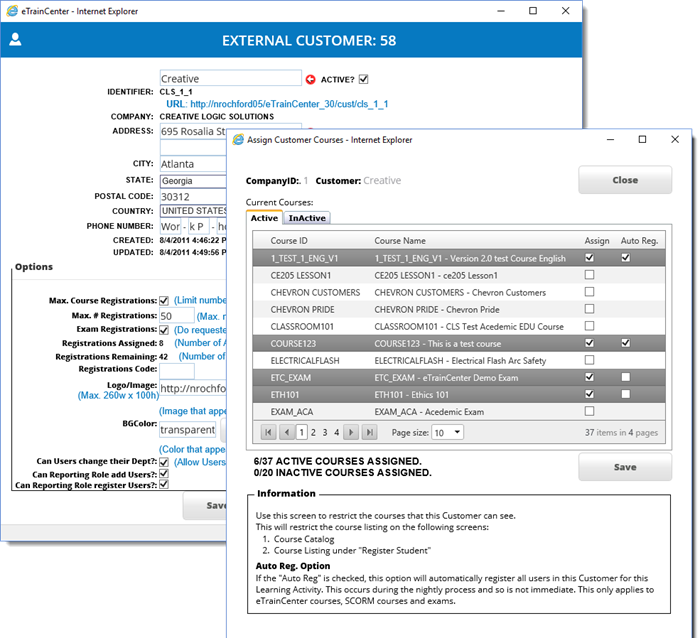 Administrators can set up Departments under the External Customers (E) and then each Student can be associated with a Department (C) or associated directly with the External Customers (F). 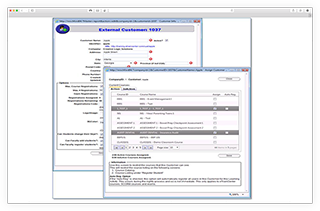 The eTrainCenter platform can be set up to accommodate a client’s “external customers.” For example, ABC Company purchases the eTrainCenter platform and then in turn sells online training to their customers. ABC Company can then set up an External Customer account for Customer123. All users under Customer123 will not be visible to other external customers. Customer123 will have their own URL for logging in, plus the screen color and logo can be matched to each company’s brand, with the logo displayed on the main page. 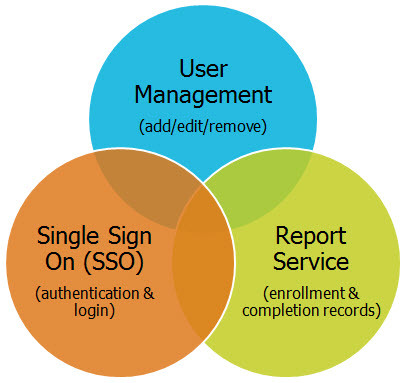 For example: http://training.etraincenter.com/cust/[ExternalCustomer]. 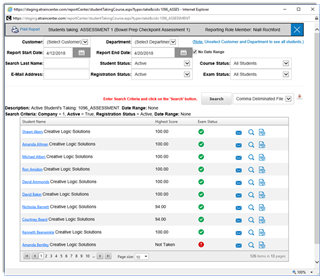 Assign Courses to External Customers Administrators can assign courses and/or exams to External Customers and automatically register all of this Customer’s users for a selected learning activity. 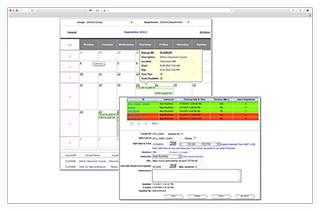 Groups or Teams can be created and be assigned at the Company level or at the External Customer level. Please refer to the Company Hierarchy section on this page. As with the External Customer functionality, learning activities can be assigned to Groups and users under that Group will automatically be registered for those learning activities. 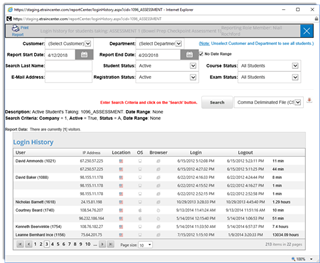 Automatic Registration When eTrainCenter automatically registers all users under the Group for the selected learning activity, users already registered will be ignored. Please note that this action is not immediate and this is executed during a nightly process. 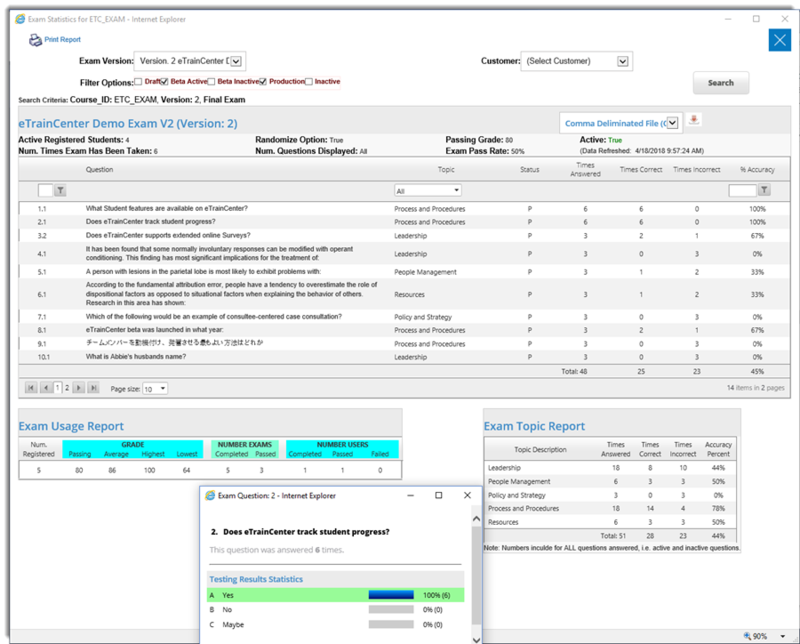 The eTrainCenter API allows your company's internal systems such as ERp or CRm to directly integrate with the LMS. 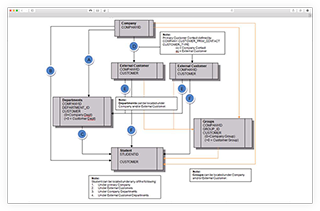 The API consists of 2 methods to do this: Web Services and SQL Connection. 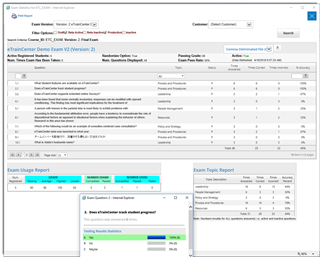 UpdateExamTranscriptImport() This is to be used during CRM/LMS integration. Update the following fields. 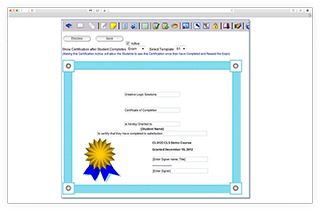 Completion certificates can be added to courses or exams. Each can be designed and customized to match to your company's brand. 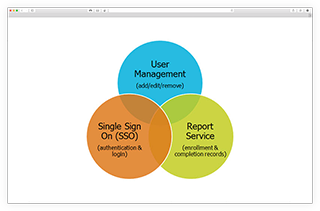 Certificates are automatically created and dynamically populated for students, instantly upon their successful completion of a training course. 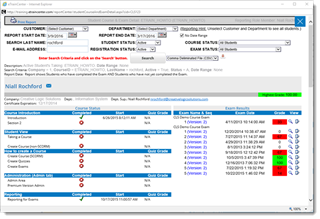 Information can be dynamically populated into the certificate, such as the student's name, course name, completion date, etc. Students will instantly receive an electronic completion certificate (in Adobe® PDF format) upon successful completion. The certificate can be saved, emailed or printed. 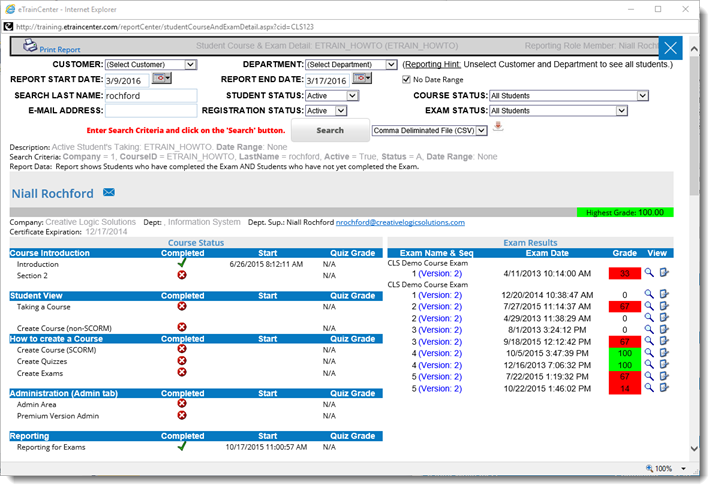 eTrainCenter also supports the registration of and reporting on classroom and webcast (course and session) learning. Lists all students registered for a selected course. 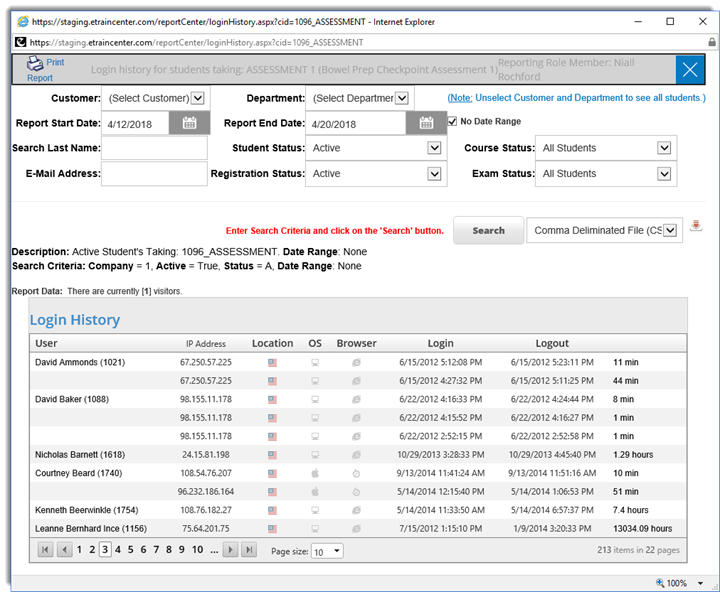 Shows the login history for all students registered for selected course. 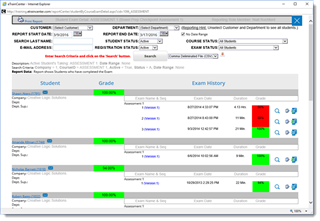 Shows all exam questions and question accuracy for the selected course. 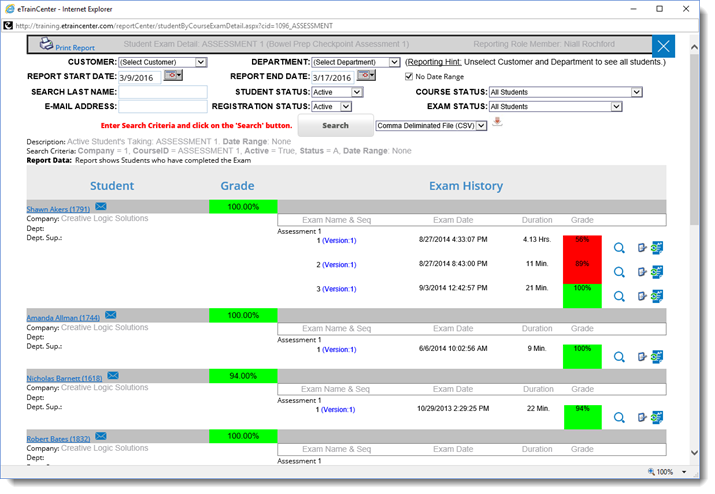 Shows Student Course status and Student Exam accuracy statistics. Displays all student assignments for this course. 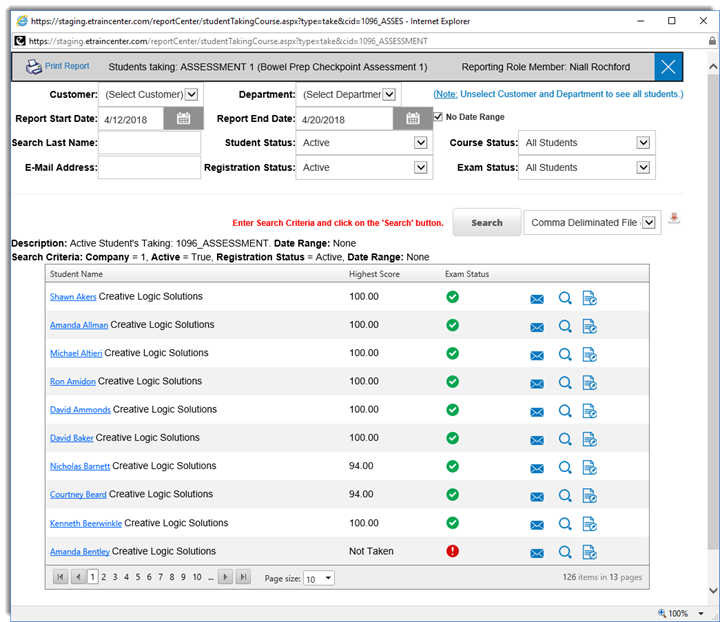 The "Student Assignments" report is used to grade assignments. 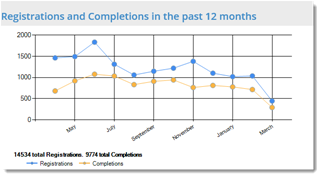 This chart shows the number of course and exam registrations per month versus the number of completions. 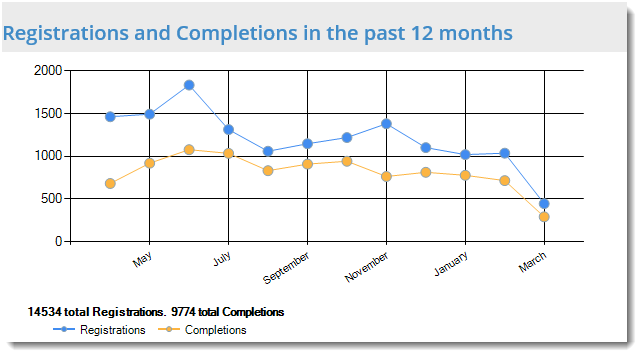 This displays for a rolling 12 months. Students Currently Logged In and Taking Courses/Exams. 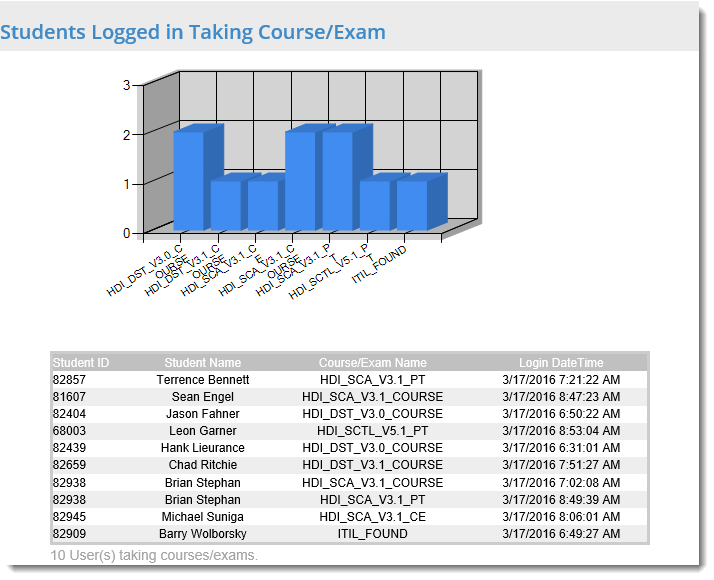 This chart and data table show the students currently logged in and taking a course or exam.